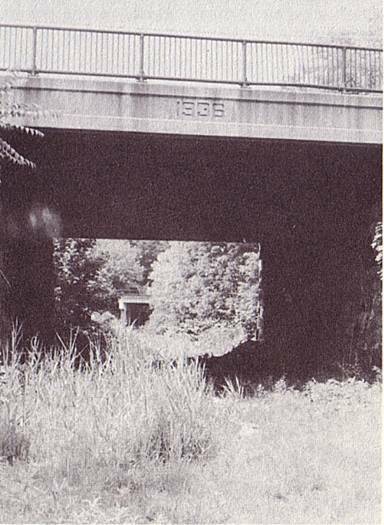 was located at Major avenue (3.2 miles). 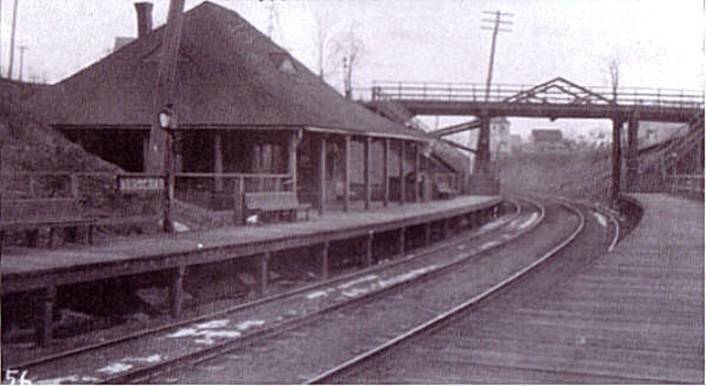 Major Avenue overpass alongside in 1911. 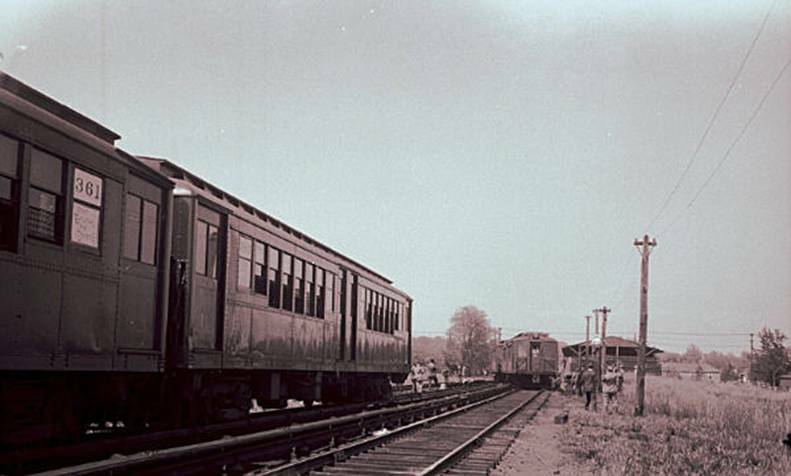 Departing the Arrochar station in the late 1940's. 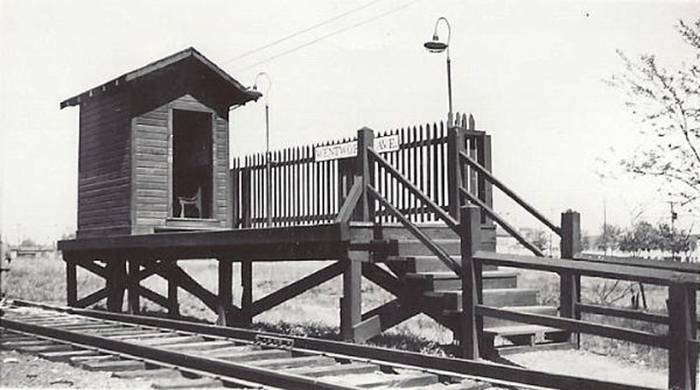 platform of the Arrochar station in 1943. The stairwell to the right leads up to Major avenue. 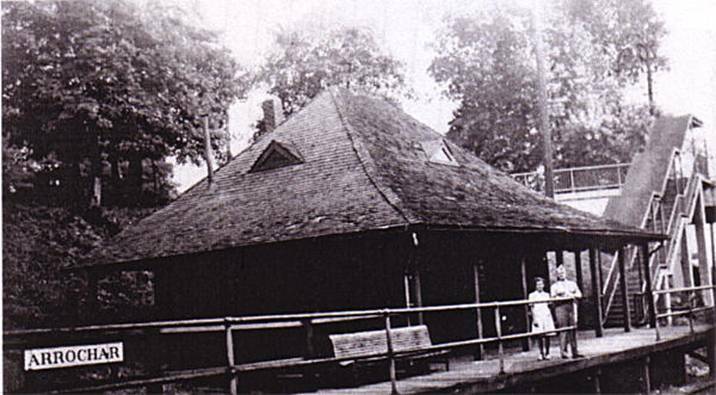 The cozy Arrochar station as it was around 1947. Verrazano Narrows Bridge toll plaza. Photo taken from the Major avenue overpass. 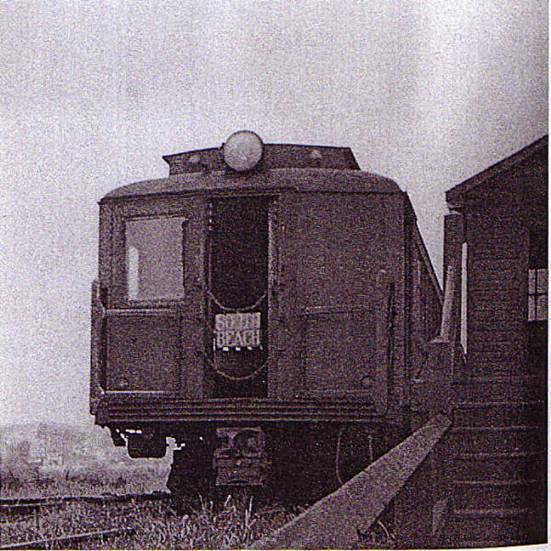 at the Arrochar station in 1947. 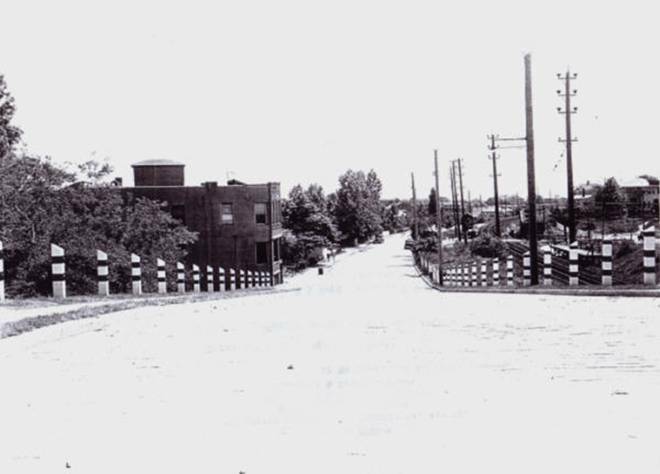 I believe the houses to the left still stand today. 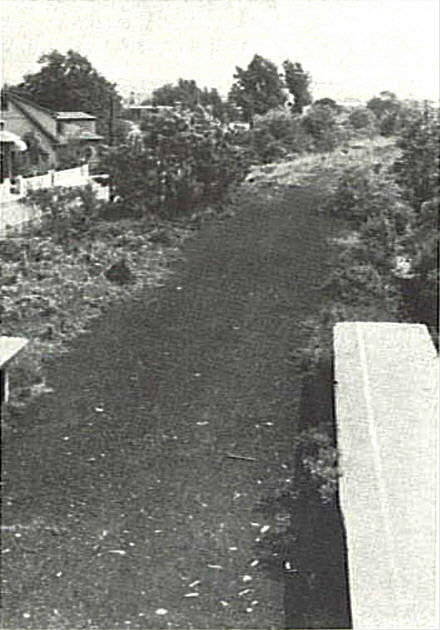 By 1964, all that remained was the staircase which once led to the Arrochar station. 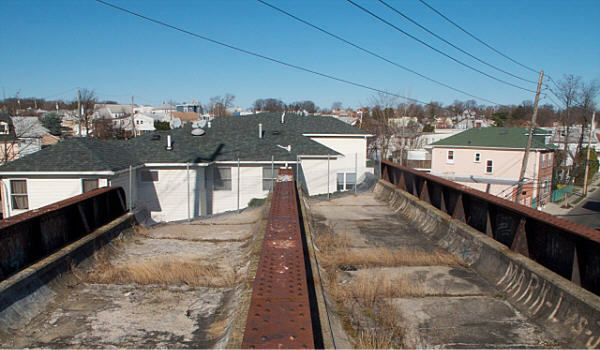 The displaced dirt- from the construction of the approach to the Verrazano Bridge- had taken over. 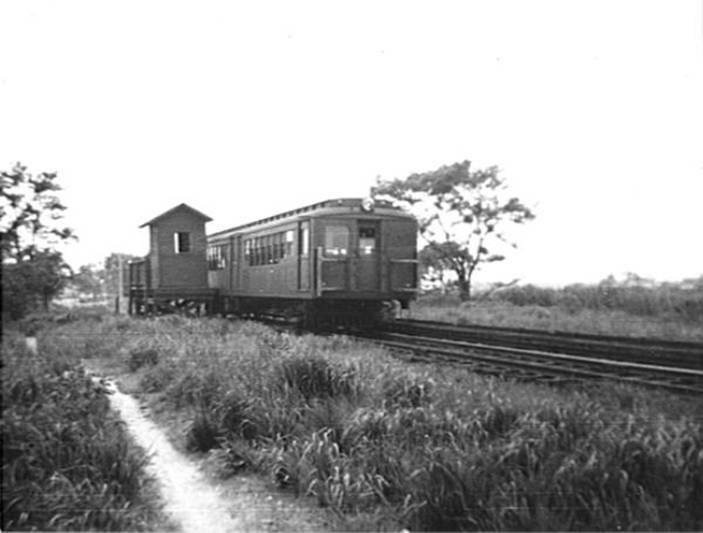 A South Beach bound train just beyond the Arrochar station. Color photo taken from Major Avenue overpass. in the late 1940's or early 1950's. bound train leaving the Arrochar station. Photo taken from the McClean Avenue overpass. 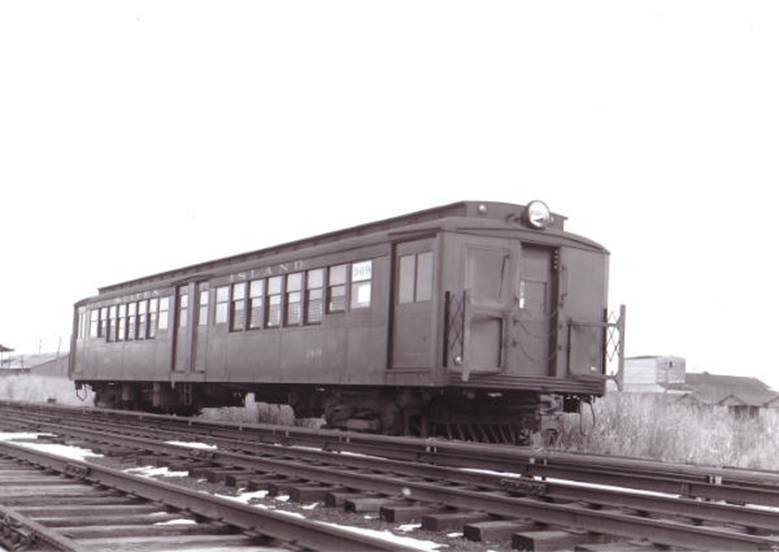 as Lake Avenue (north shore line). Compare this to the previous photo and see what I mean. 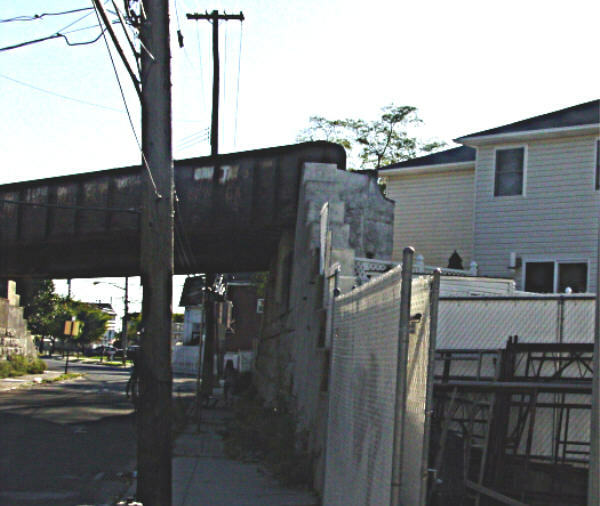 As we continue down the line, we come across McClean avenue. 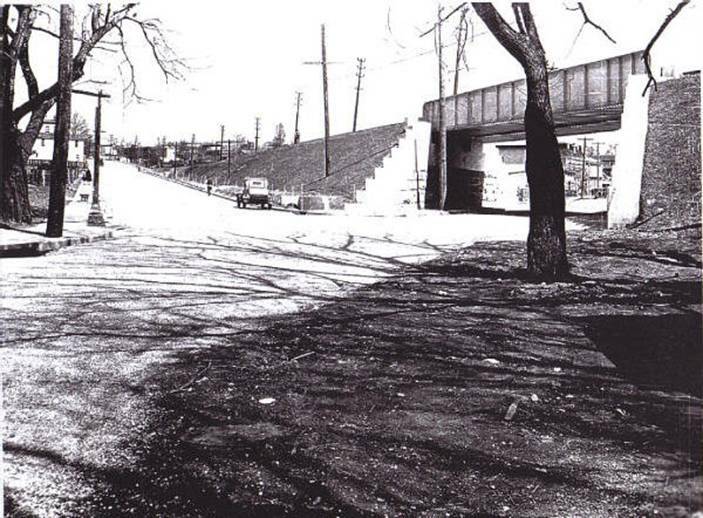 There was once an overpass here as evidenced by this photo. It's now filled in to accommodate new houses and a restaurant. 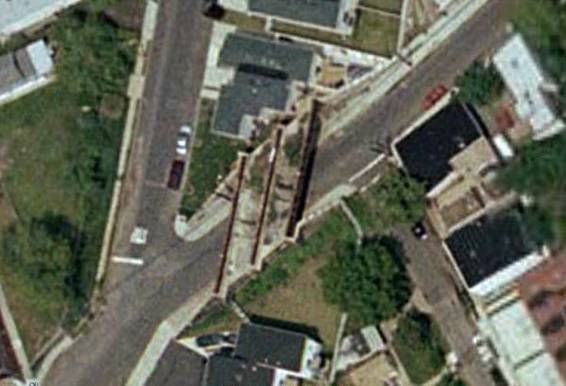 What's with all the houses going up on Staten Island? At this rate, the island's going to sink. 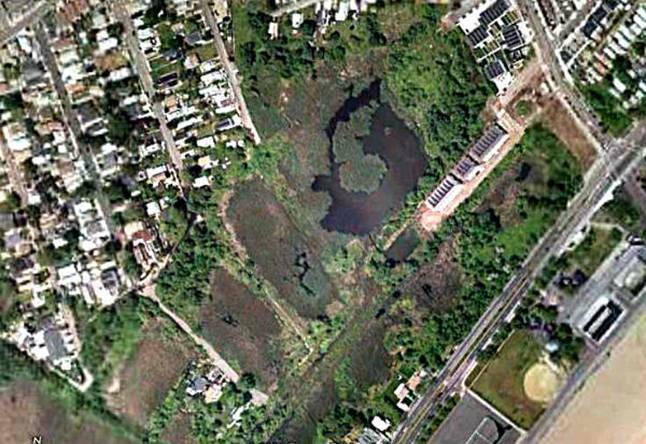 An aerial view of the filled in right of way and the new housing. 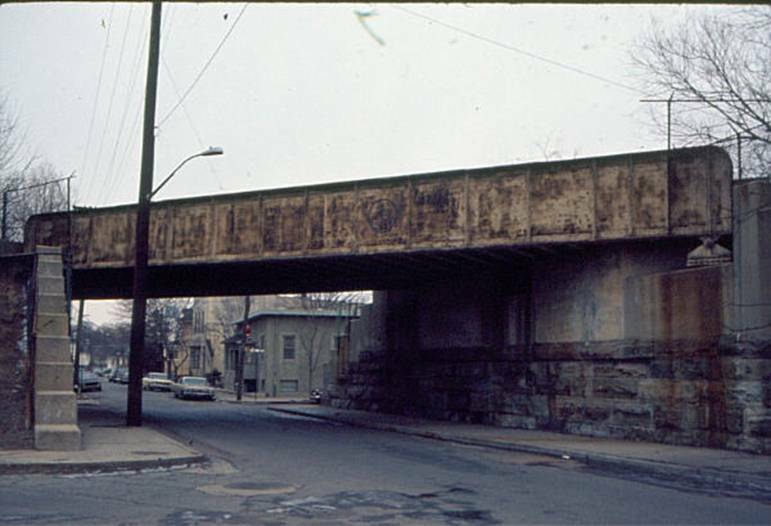 The bridge can still be detected by the cement in the middle of McClean avenue. I'll bet it's still intact underneath. 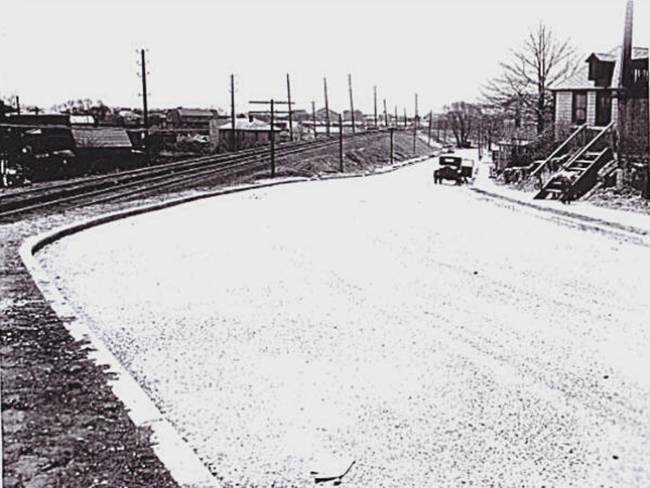 At McClean and Railroad Avenue circa 1936. 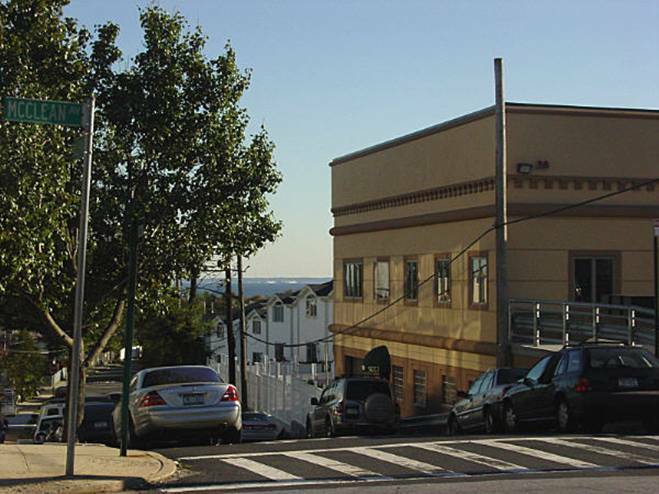 The scene in 2004 with New Jersey on the horizon. 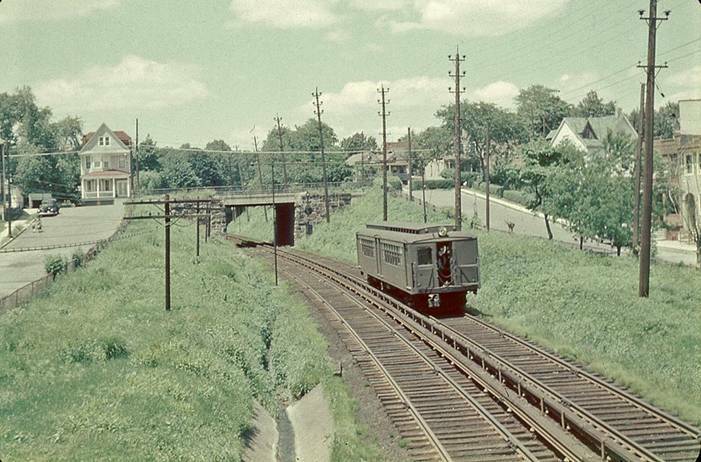 with the Major Avenue overpass in the distance.1964. 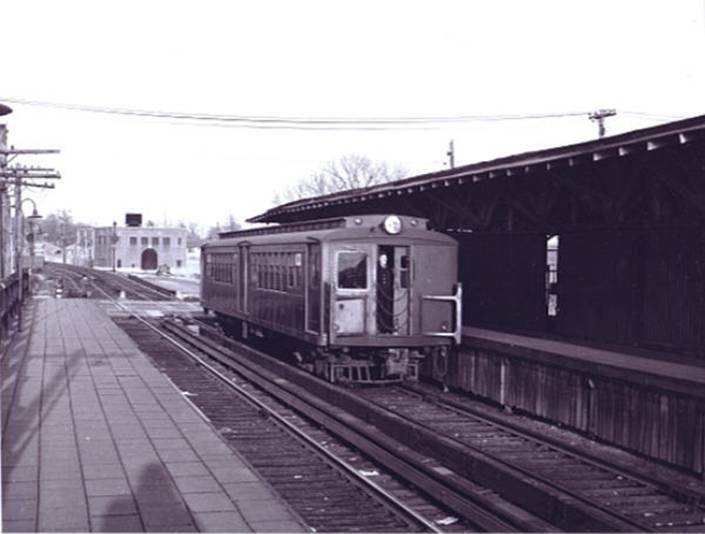 The Cedar Avenue station was located at Cedar Avenue and Jackson place (approximately 3.6 miles). 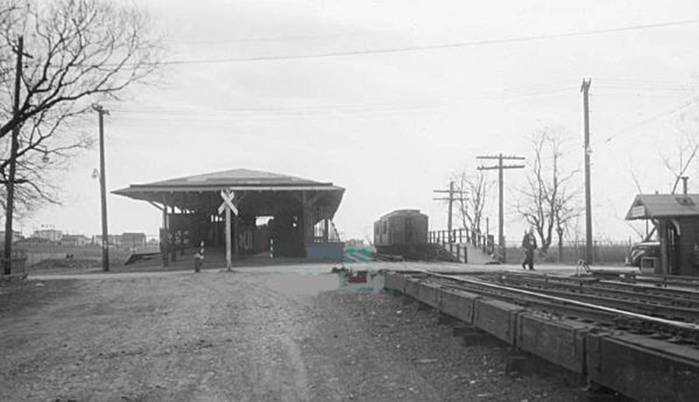 the original wooden Cedar Avenue station in 1935.
the Cedar Avenue station in April, 1936. 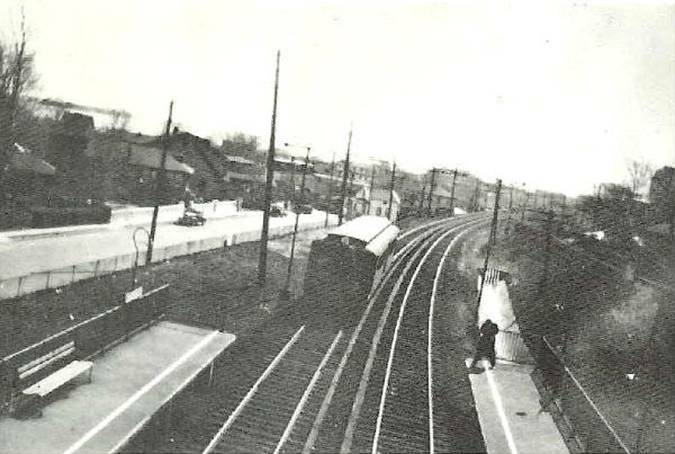 Cedar Avenue station in 1937.
overhead walk were up and running. are visible in the background. from the Cedar avenue station. 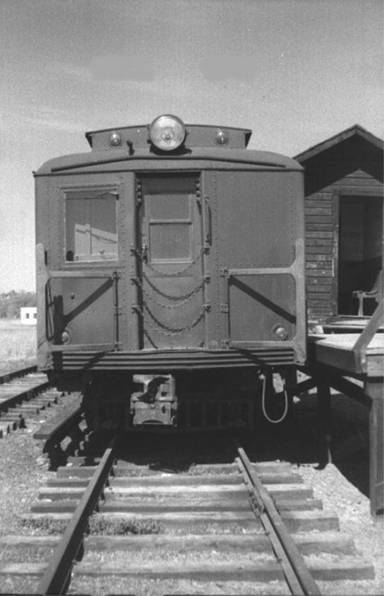 taken on the last day of service (3/31/53). 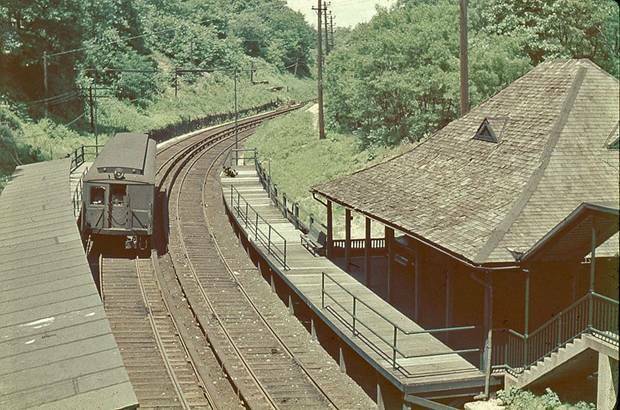 the station had been sitting dormant for 12 years. 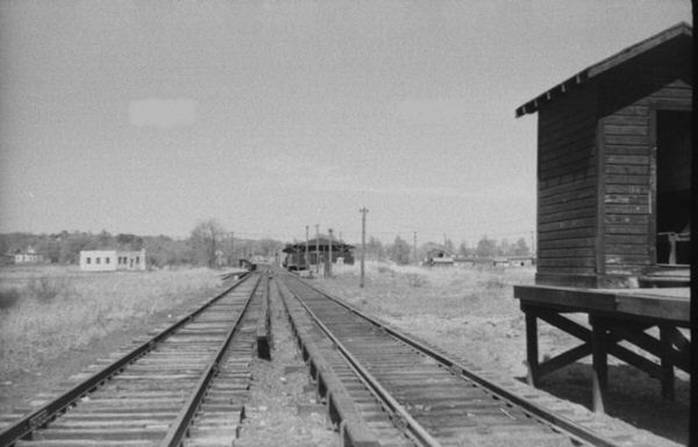 platforms continued to stand silently. And so we thank you for visiting Cedar Avenue. 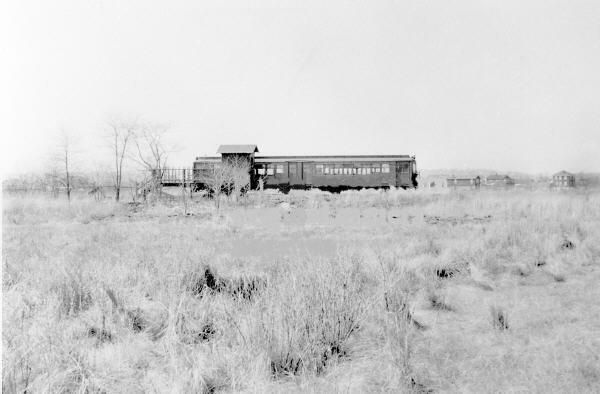 ...we find ourselves at the Robin road trestle in April, 1937.
waiting patiently for reactivation that would never come. 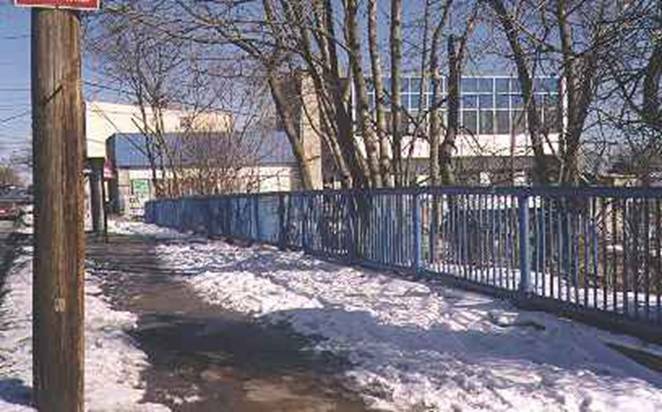 The Robin road trestle alive and well in the 21st century! 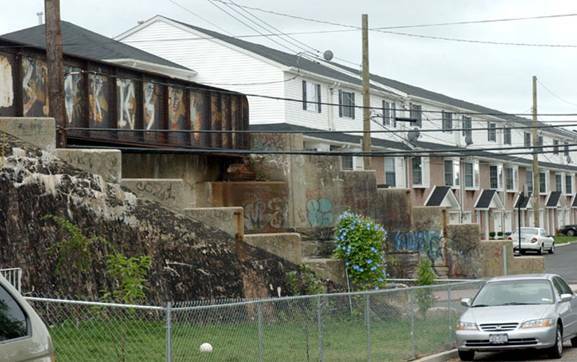 Don't even ask what the powers-that-be are thinking but as of this late date- 2018- the trestle still spans Robin road and stands defiant between the houses that killed off the South Beach branch right of way. 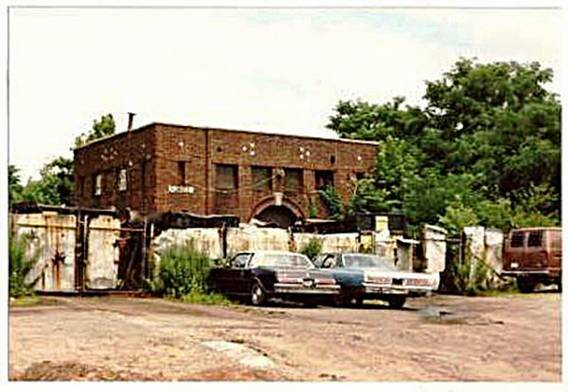 It seems it will cost a little too much to demolish the thing and none of the folks from either side of the street knows whose property it truly stands on. 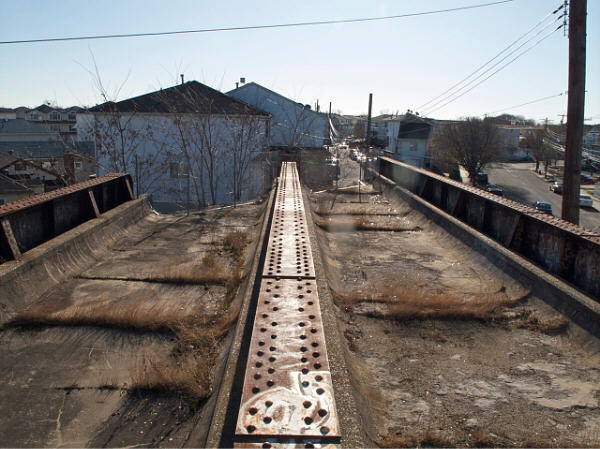 The Robin road trestle is the last remaining intact bridge on the South Beach line. 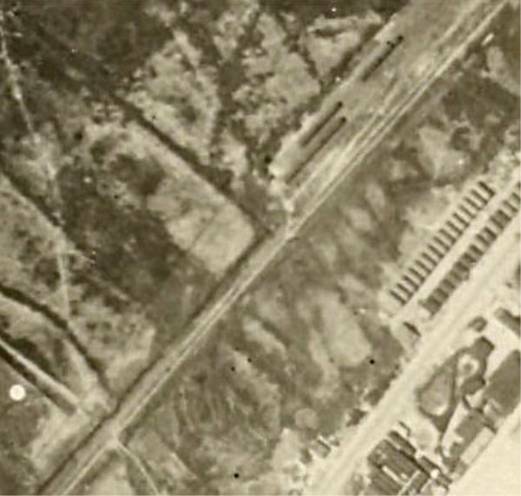 Aerial view of the Robin road trestle. 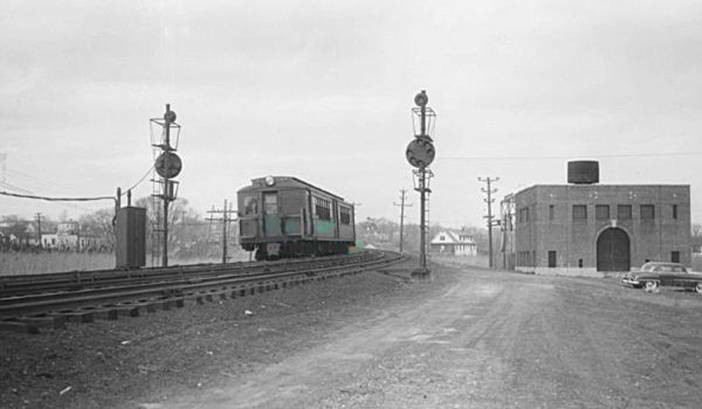 The South Beach station was located at Sand Lane (3.9 miles). 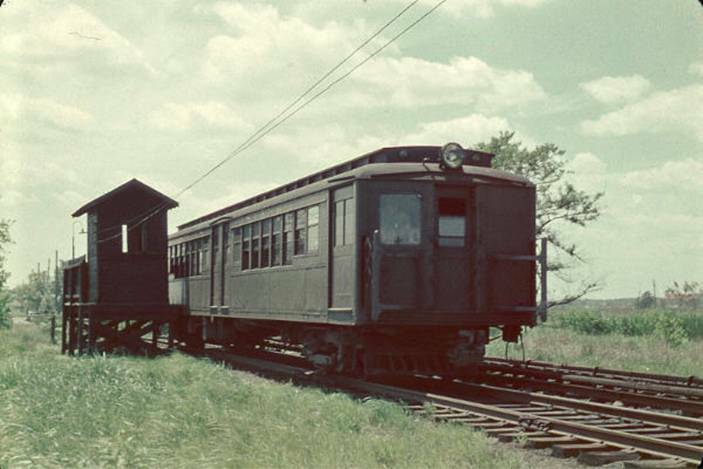 This was the terminus for the crowds that would venture to the amusement parks...or was it? South to Midland Beaches. 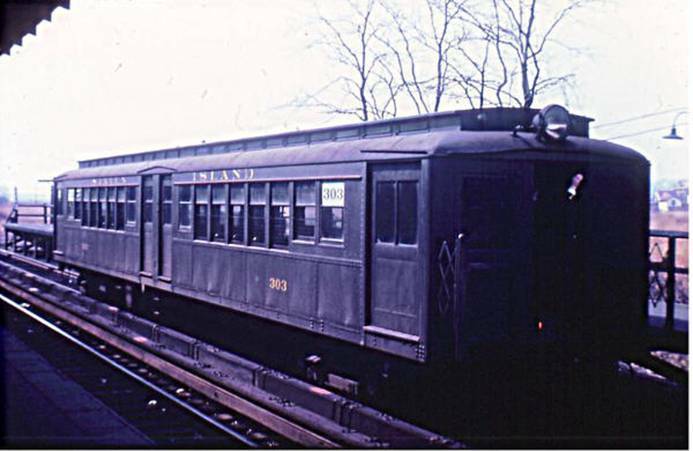 Passengers arriving at South Beach could simply cross the platform and travel the extra mile or so to Midland Beach. Twas rather convenient, yes? to read some archived articles from the New York Times. 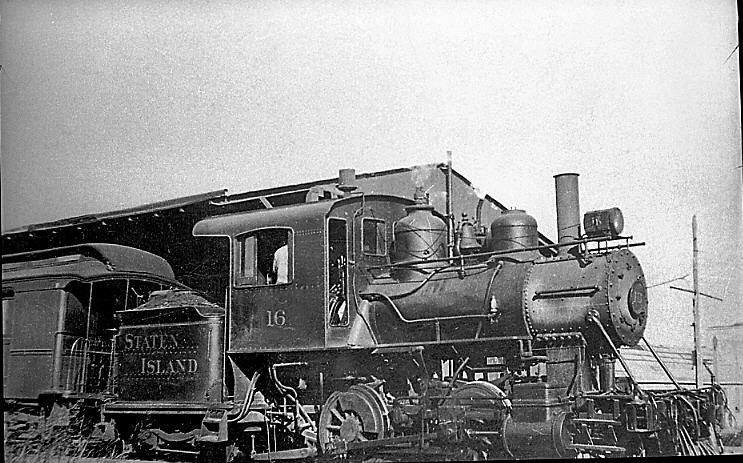 A steam engine pulls into the South Beach station in 1924. One year later, the S.I.R.T. would electrify all three branches. 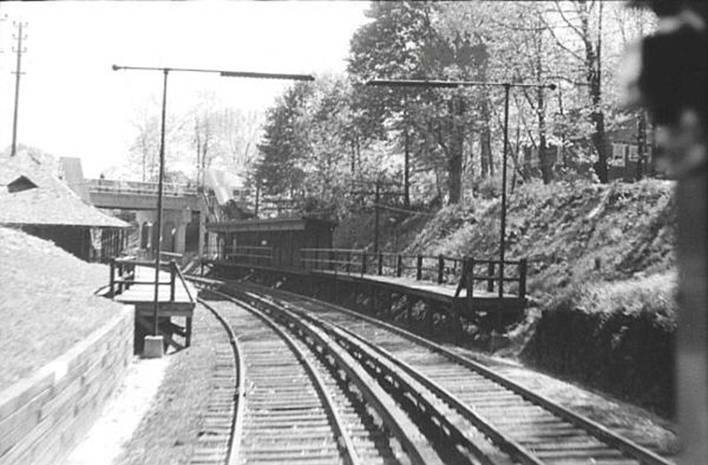 before electrification of all three lines. 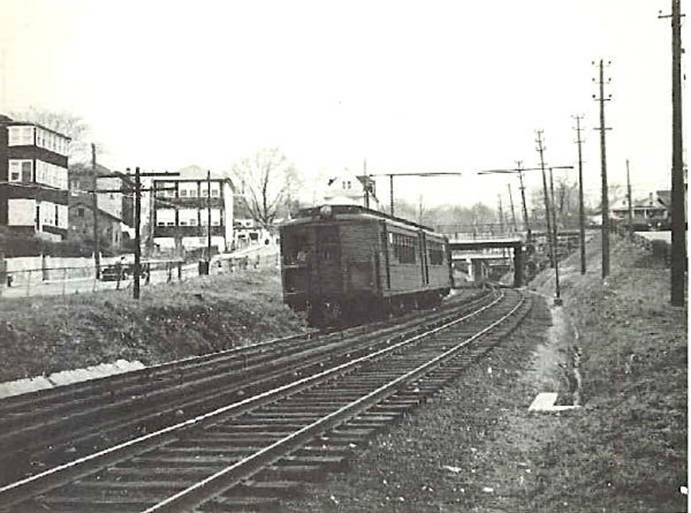 Pre- 1925.
rolling towards Sand Lane and South Beach station. 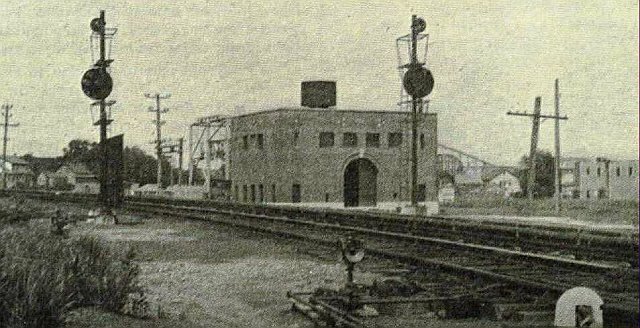 Here is the South Beach power sub-station in the mid 1920's. 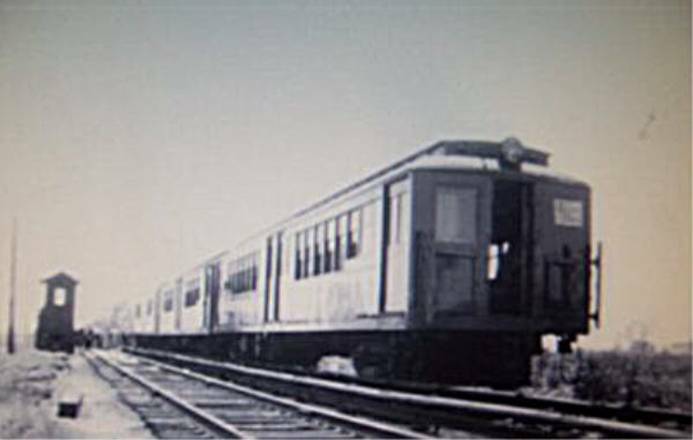 It was at these facilities that the electrical current used for the trains was converted from AC to DC. 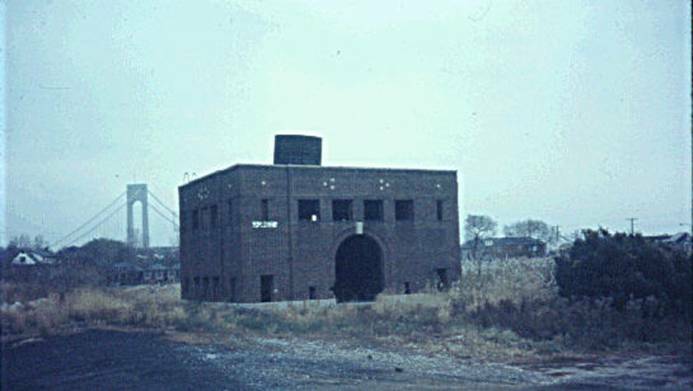 Here is the sub-station as it stood abandoned in 1967. 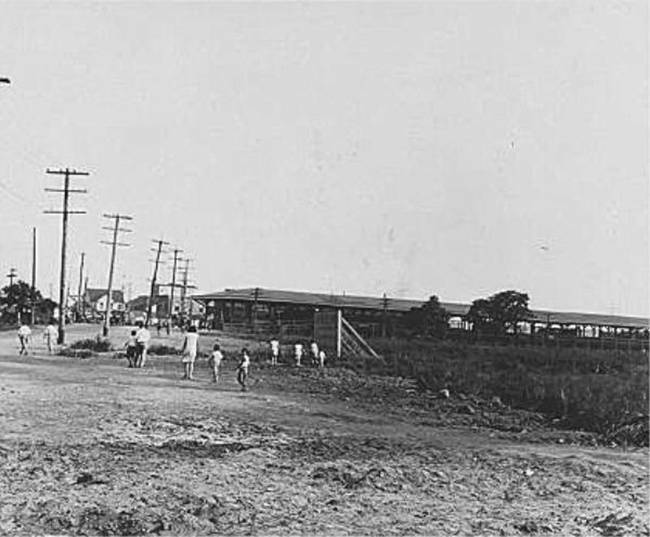 The dirt and gravel trail is the original ROW. And again during the 1940's or 1950's. fares and was on the verge of knocking the SIRT out of business. 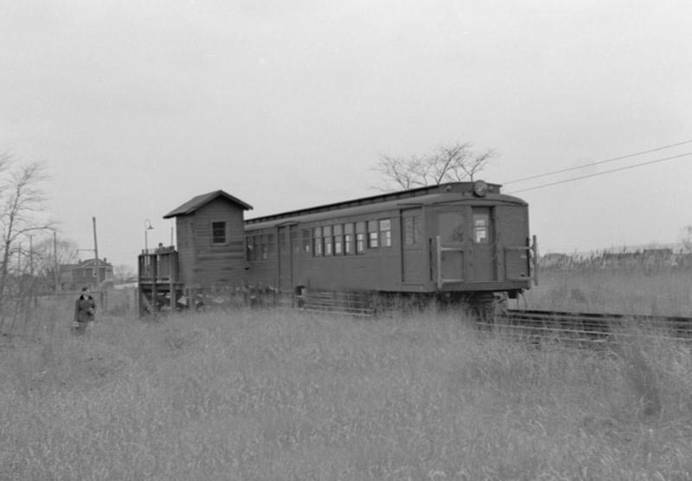 for abandonment of the South Beach and the Arlington branches. if I would take a photograph of him "to send to my family in the old country". emerging, not only with his red caution flag but also with a tall STOP sign. 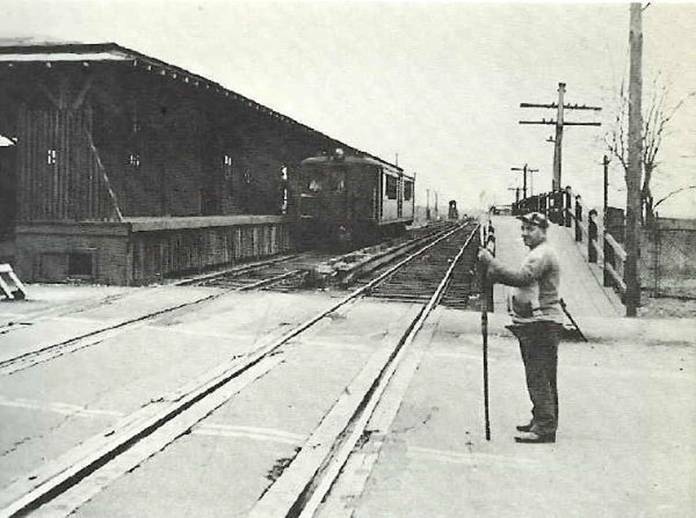 his position of importance at a lonely railroad crossing in Staten Island. railroading such an interesting subject. and checkered cap, stops traffic at the Sand Lane crossing. 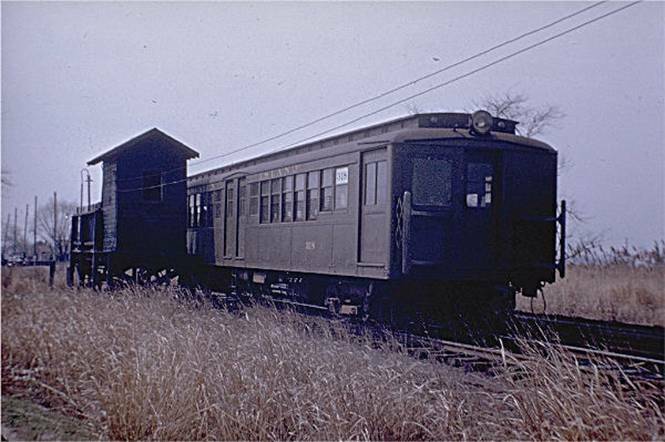 Again, the power sub-station is at the right. Photo taken last day of service. Gee, what day could that be? 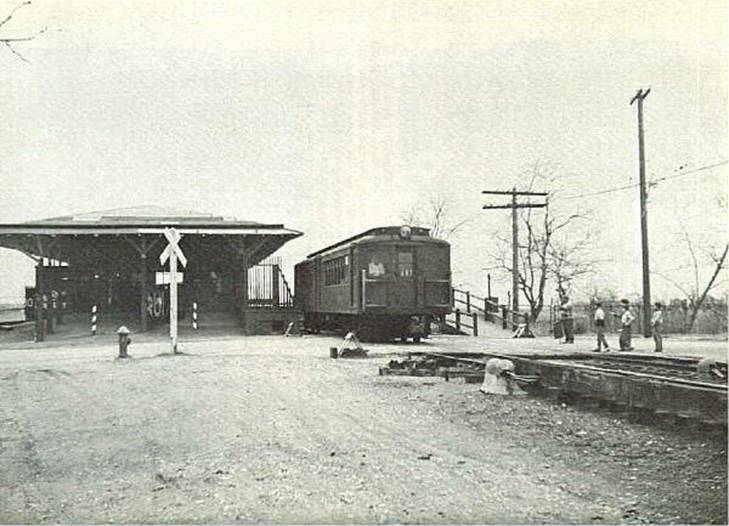 Two views of the South Beach station in the early 1930's. scanner is too wimpy to handle larger photographs. 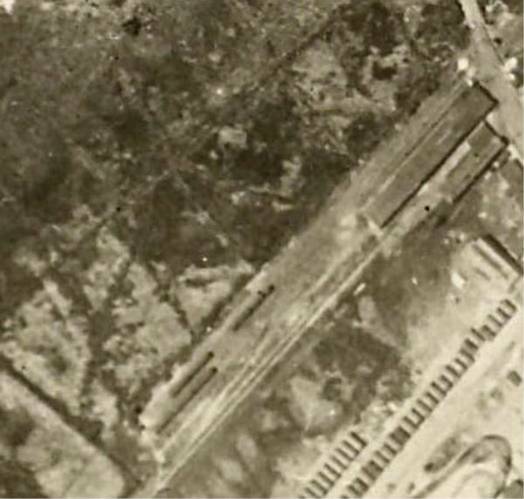 It shows a bird's eye view of the South Beach station facing Sand Lane. 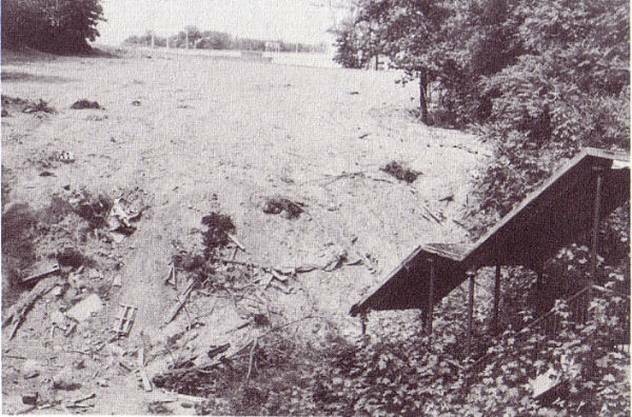 The photo was most likely taken in the late 1940's or early 1950's. By now I am sure you have memorized that date. 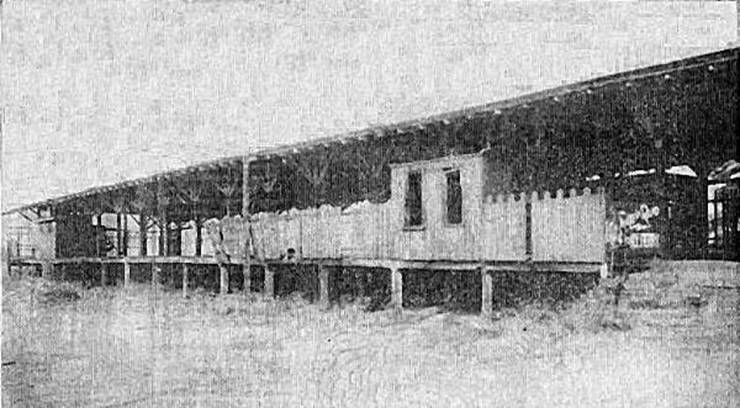 South Beach station. 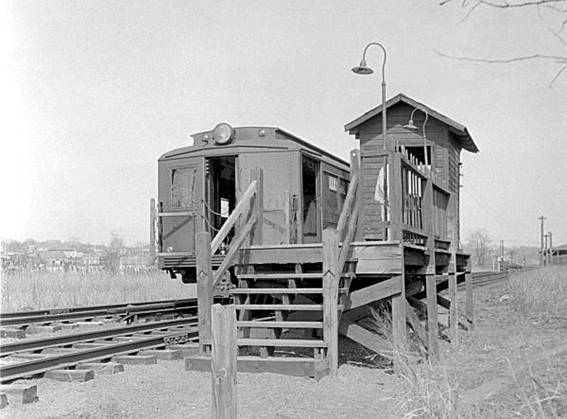 The first in 1949 and the second undated. 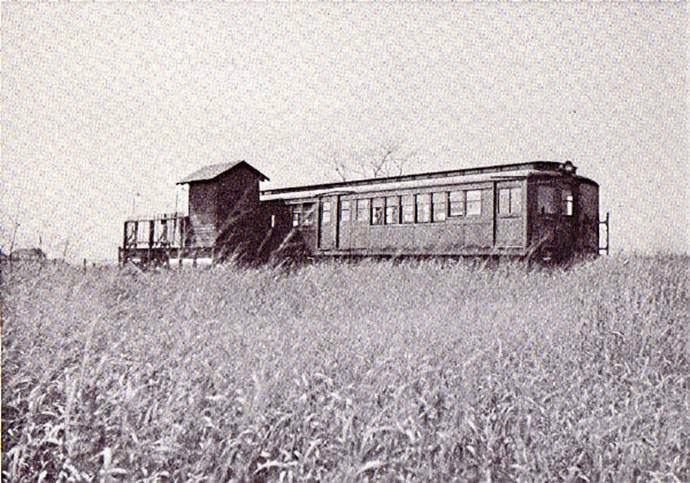 The double cars were mostly used during rush hour. The power sub-station stands in the background. 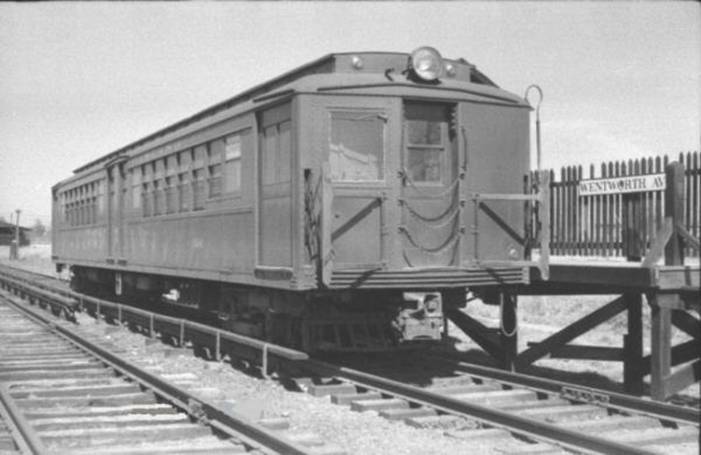 a St. George bound train at the South Beach station. at the South Beach station. 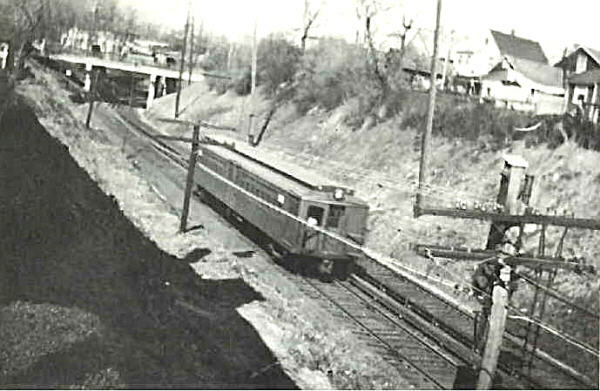 A train leaving the South Beach station at Sand Lane. 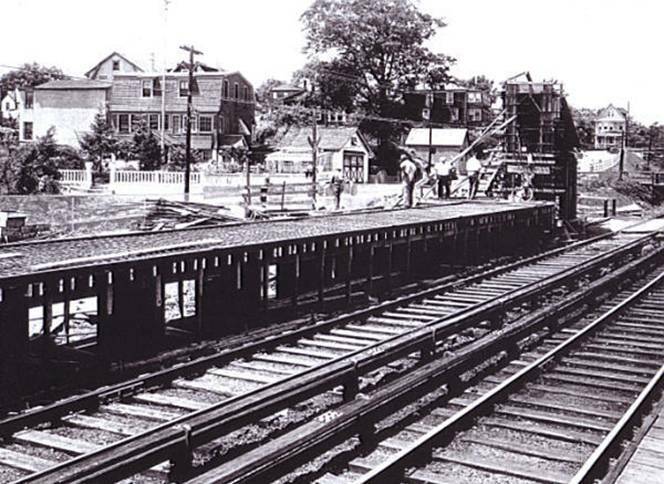 A terrific shot of the South Beach station facing towards the end of the line. Hey! There's that guy with the sweater again! The next day, our friend would be in search of a new job as this photo was taken- you guessed it- 3/31/53. Still, we'll fondly remember his pink sweater and checkered cap. Last day of service, perhaps? leave South Beach on the last day of service. Mr. Stop Sign was still doing his job. 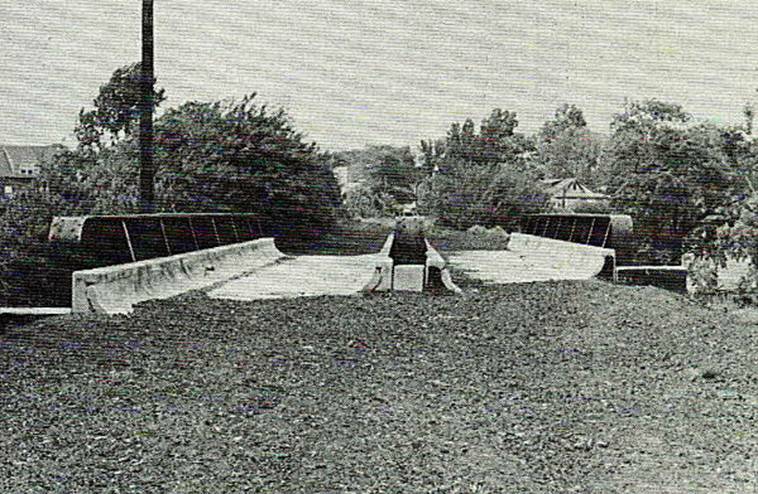 An undated photo of the crossing at Sand Lane. 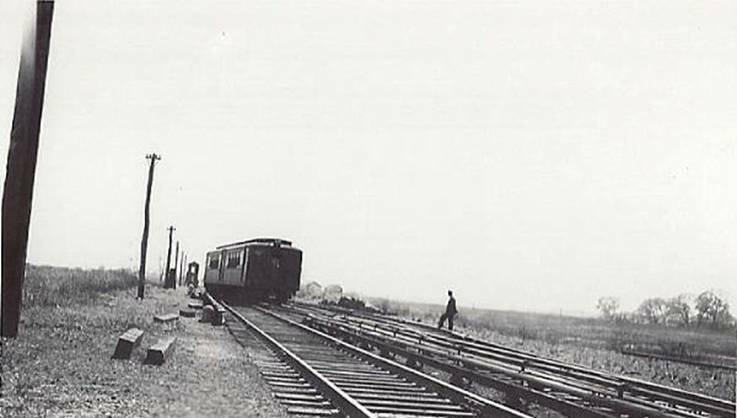 This could be after the line was abandoned. 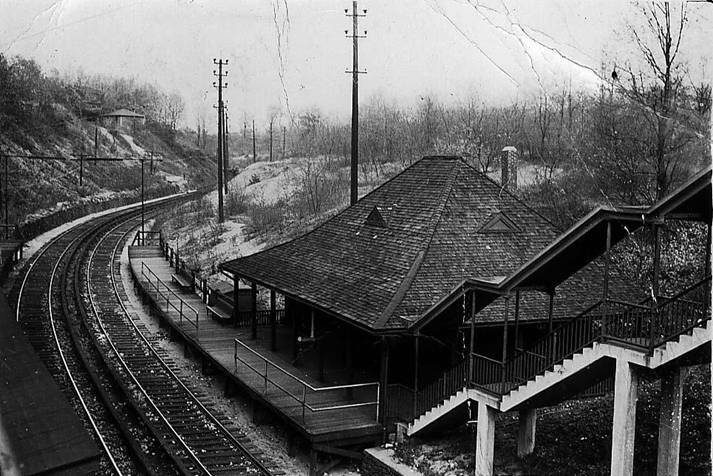 The dead South Beach station as it stood rotting away. 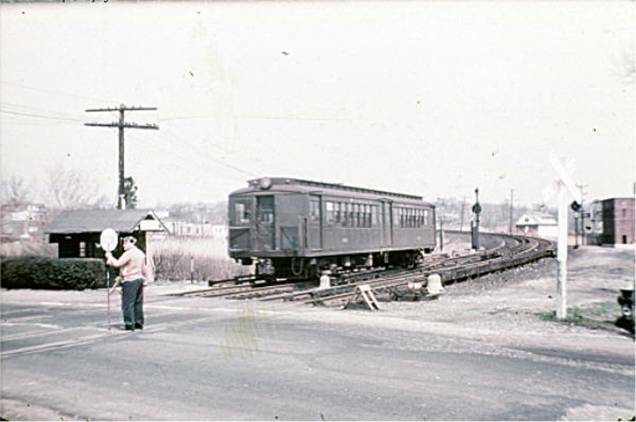 Photo taken mid 1950's to mid-1960's. An S.I.R.T. 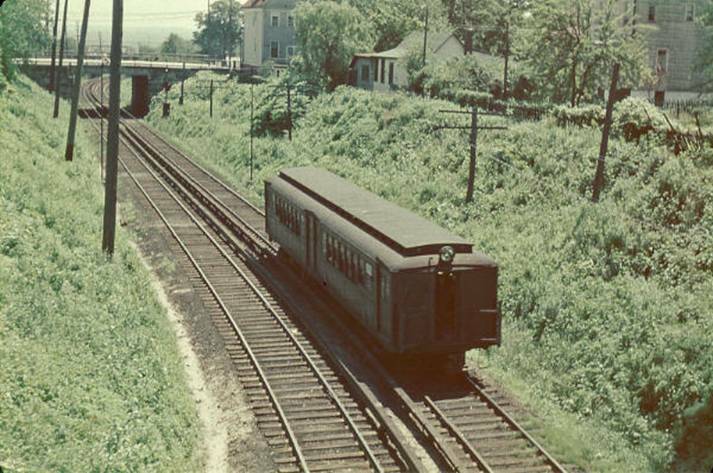 train rolls beyond the South Beach station. 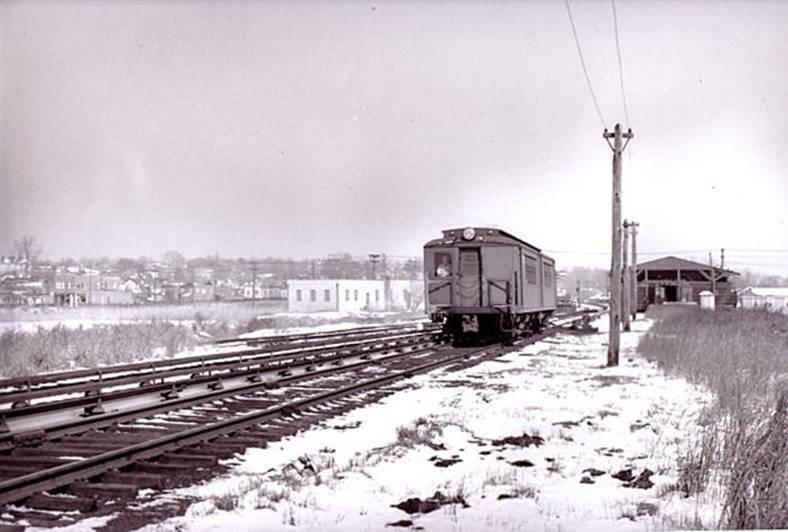 the South Beach station on a cold Winter's day. 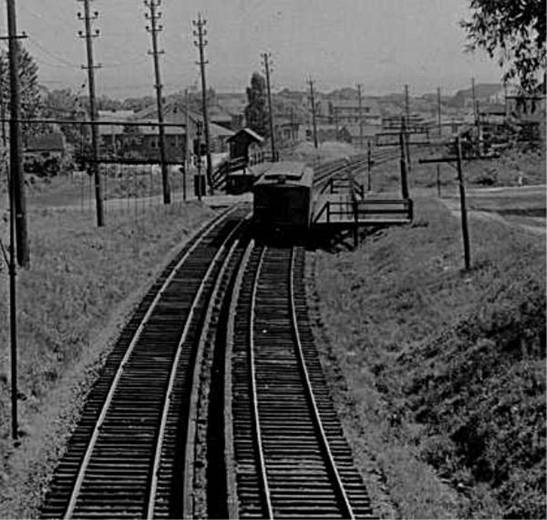 An interesting view back towards the South Beach station. 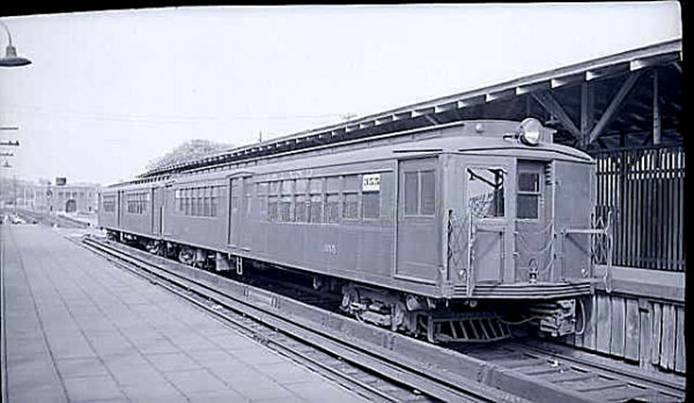 This next and last station on the South Beach line was the shortest- and quite possibly the coolest- rapid transit station in the world. Yes! 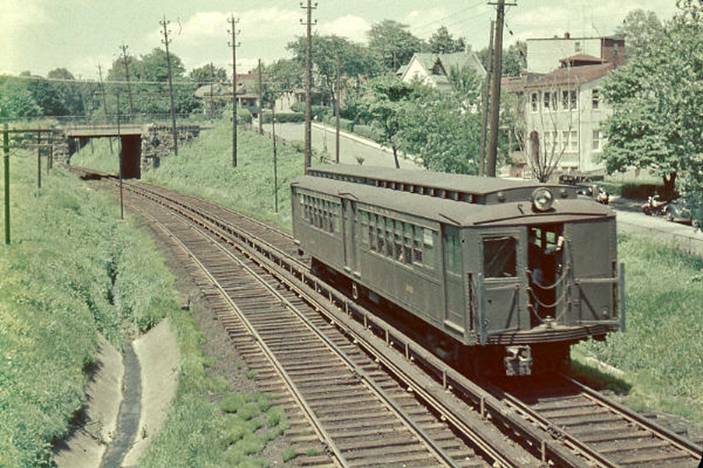 The mighty Wentworth Avenue station (approximately 4.1 miles). It was more of a hiccup on the line that took passengers one extra stop beyond South Beach. 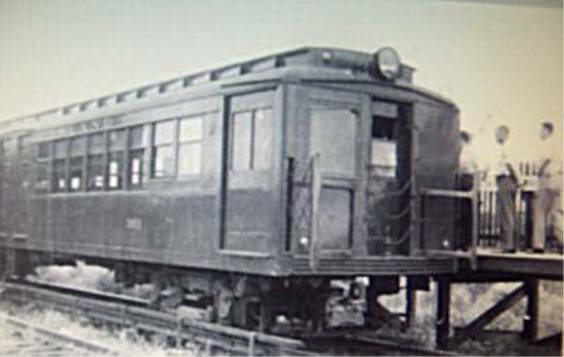 It was added in 1925 when the S.I.R.T. electrified it's three lines. 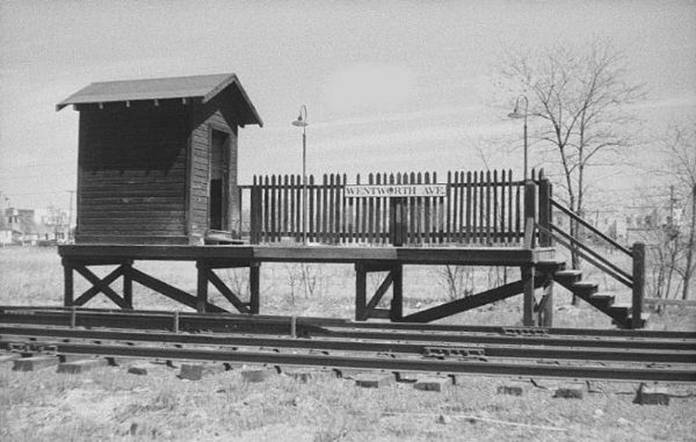 It looked like an outhouse atop a wooden platform and was only large enough to accommodate one door of a single train. 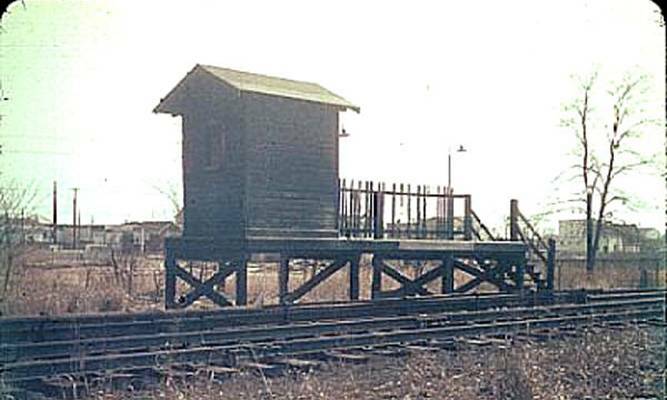 It stood majestically near what is now a smelly marsh area that still exists today. 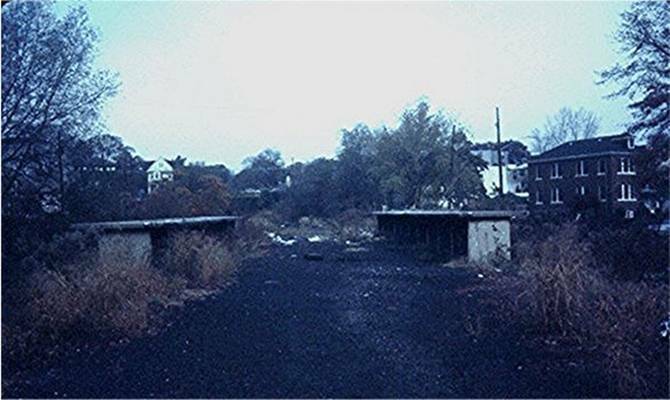 Nature has erased all traces of where the station once stood. 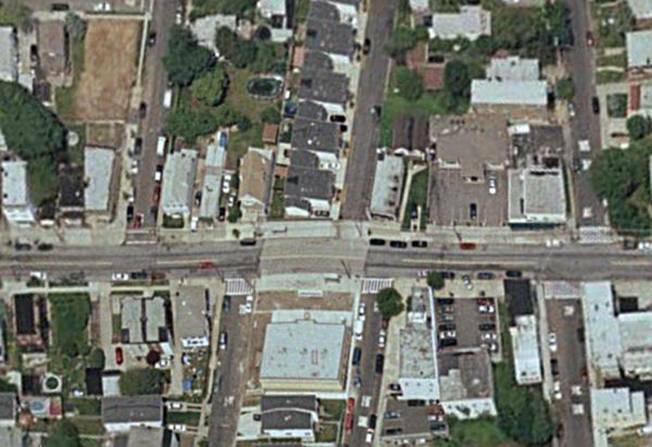 This includes the extended thoroughfares of the adjacent streets and access road as we will see shortly. 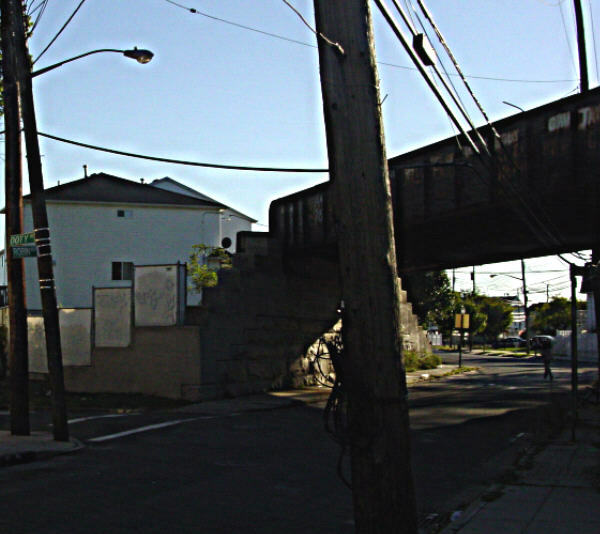 No, I never did ride to or get on at Wentworth Ave. 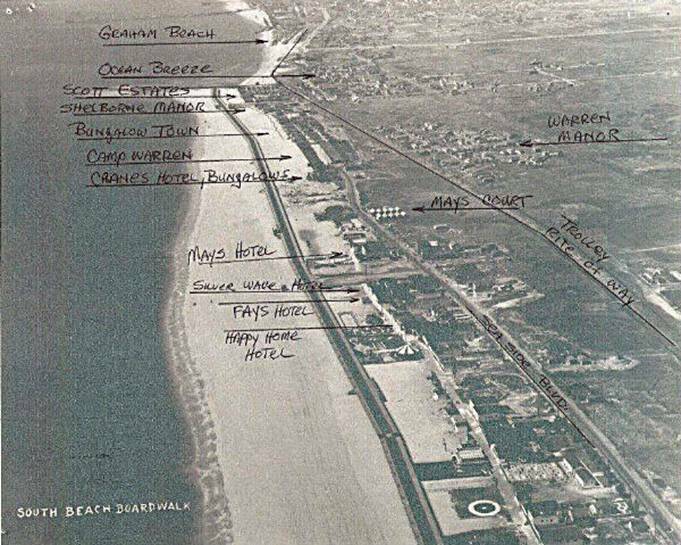 There were some people who did, as they lived in that area, beyond South Beach. South Beach at night was pretty well lit up (especially just before and after WW II) with its boardwalk, rides and other entertainments. During WW II it was kept dimmed and darkened because of the German U-boats off of Sandy Hook that torpedoed several ships leaving NY Harbor. 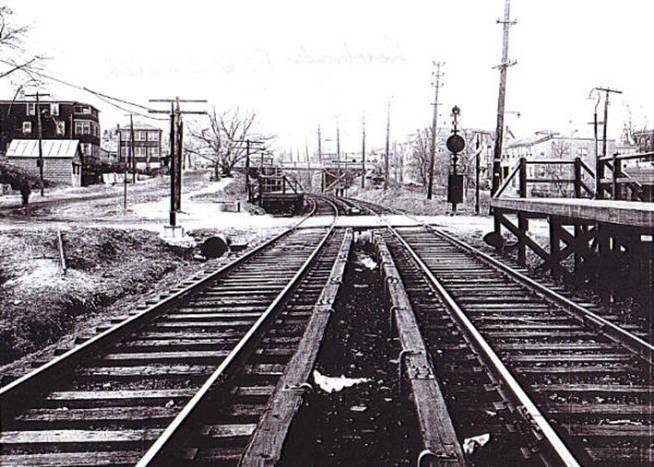 Wentworth Ave did have electric lights but there was no electrical switch for them at the station. They were controlled by the ticket agent at the South Beach station. 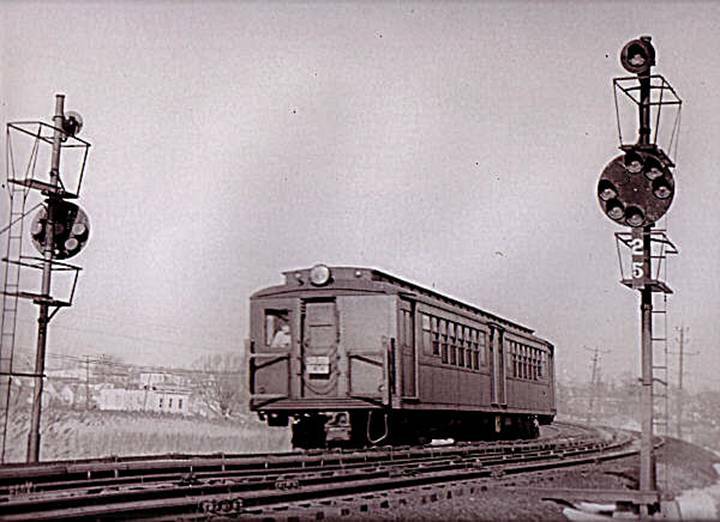 When ticket agents weren't needed anymore, the crew of the first train in would turn the lights on. The crew of the last train out for the day would turn them off. This was true for many SIRT stations. An S.I.R.T. 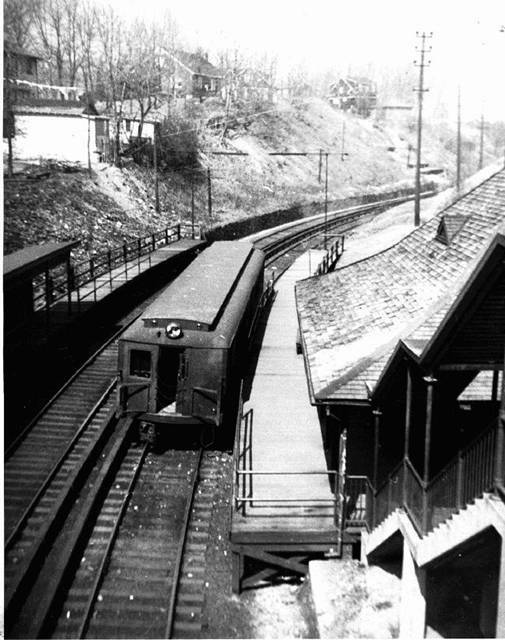 train at the Wentworth Avenue station ready to begin it's journey back to the St. George ferry. Notice the telephone poles in the background. This was actually an access road that connected with four other streets. Today, three of the four have been reclaimed by nature. Photo taken on the last day of service- tuesday, March 31, 1953...the day that will live in infamy! 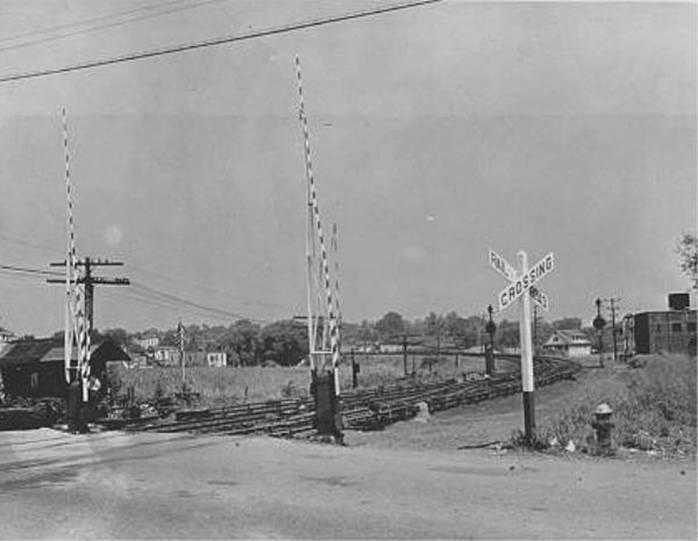 southwest towards what is now Father Capodanno Blvd. 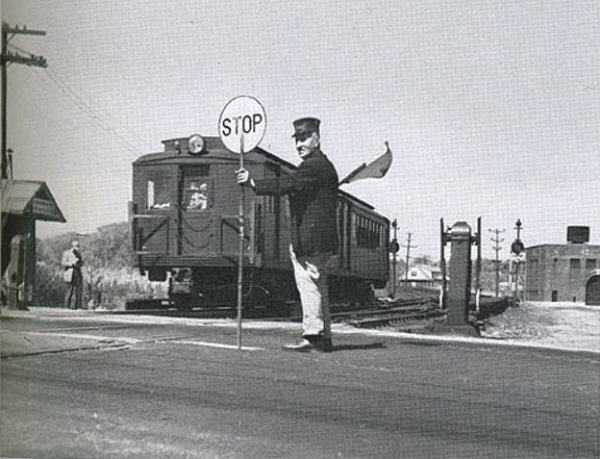 I wonder if this was taken after the line closed? Are these the actual S.I.R.T. 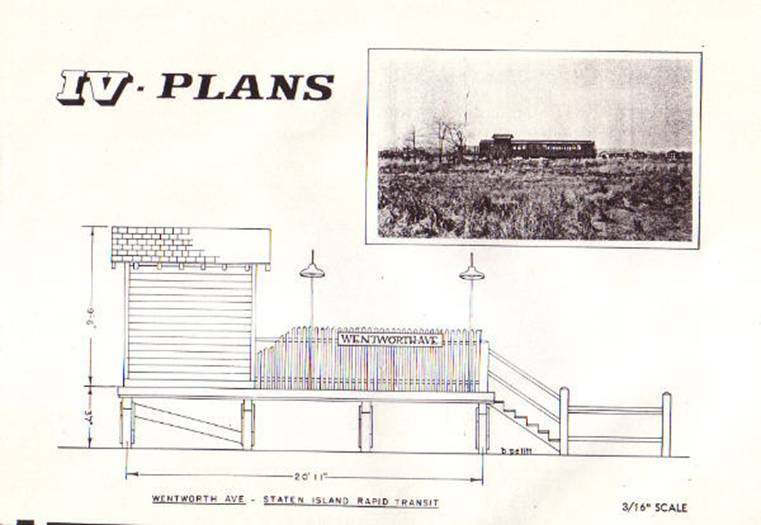 plans / dimensions for the Wentworth Avenue station? 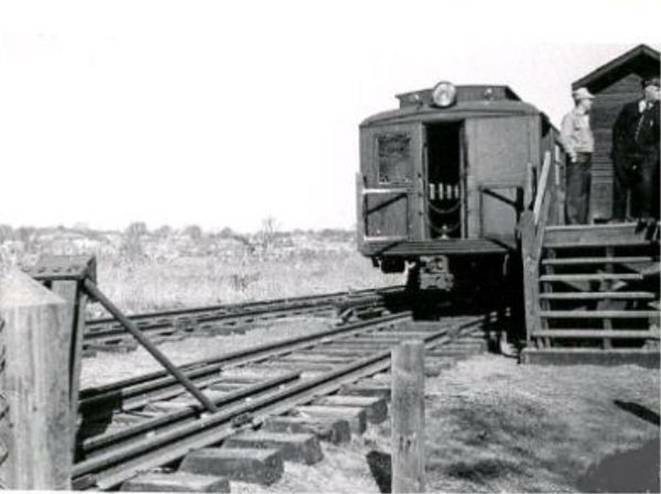 a three car Rail Fan train parked on the siding. 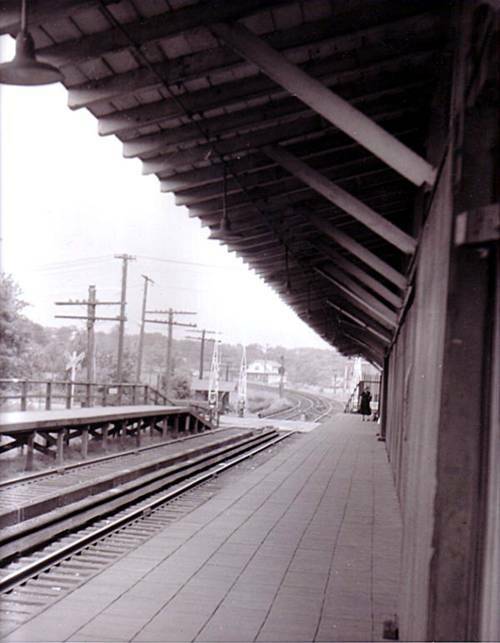 Another view of everyoneï¿½s favorite train station. 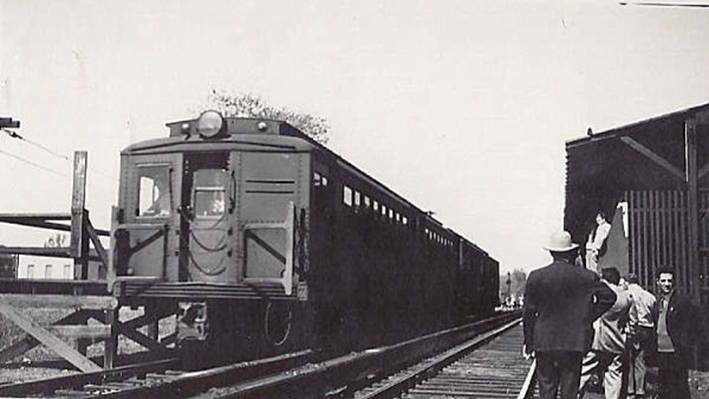 Notice the "South Beach" sign on the train. Wentworth Avenue was a bit of an afterthought. 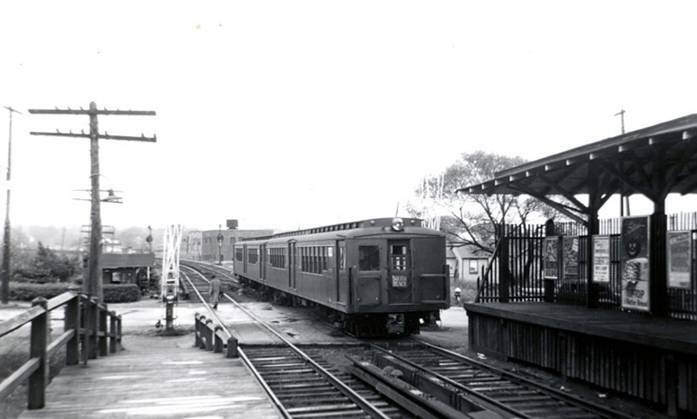 at the Wentworth Avenue station. 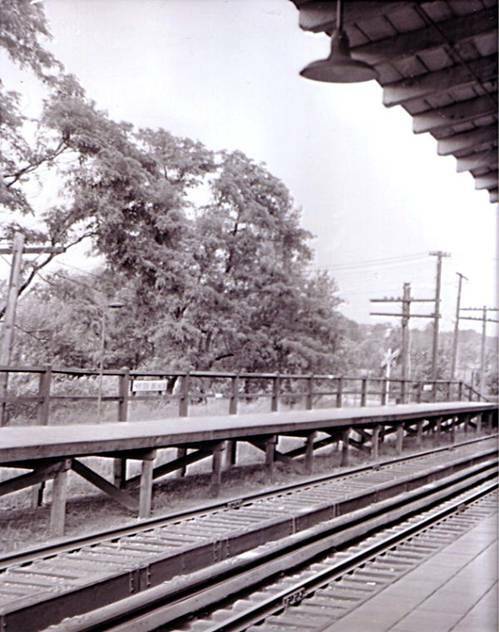 Wentworth Avenue station platform (October 25, 1952). Station. 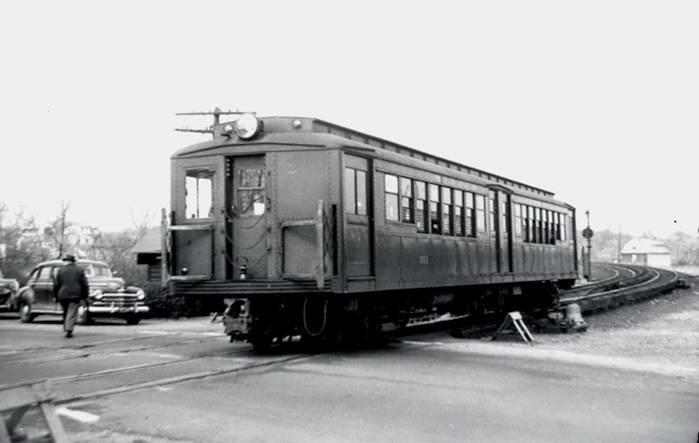 Photos taken in November, 1949.
the Southfield Beach Railroad's trolley line. 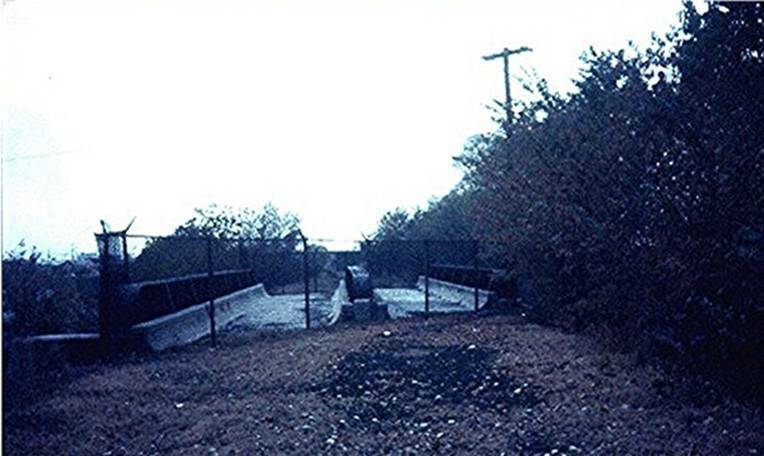 The latter runs parallel with and beyond the access road. 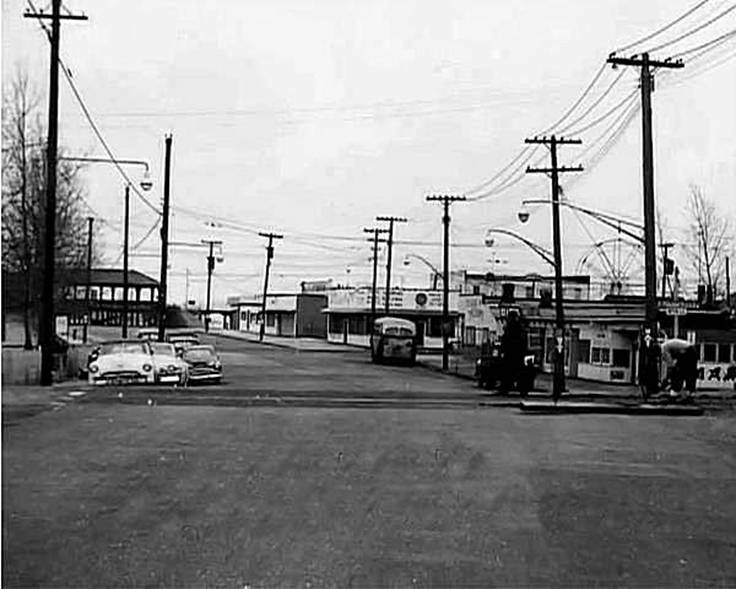 I wonder if much of that trolley ROW still exists? Guess I'll have to take a meander down there and check it out! 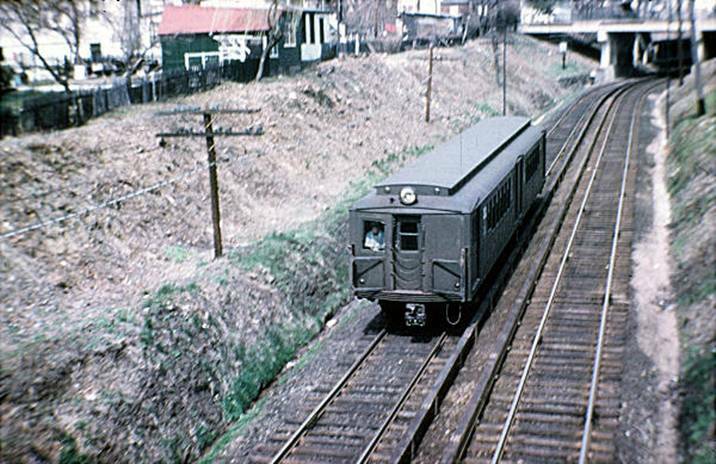 I'll bet the Wentworth Avenue station was a spooky place at night. 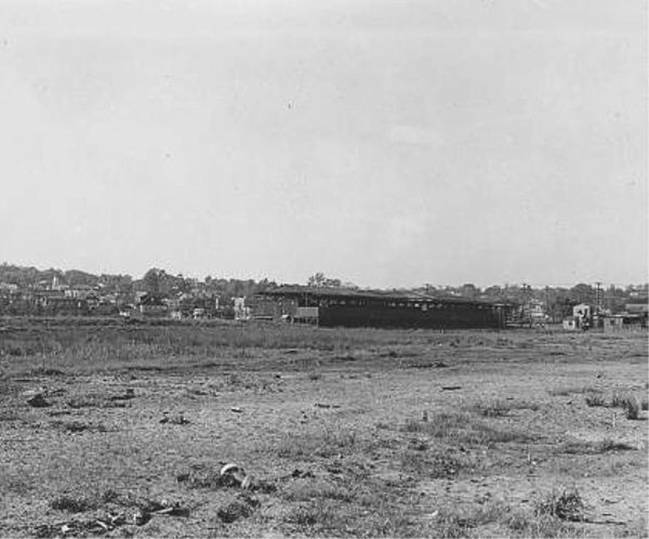 Here are two views of the same place in the 1920ï¿½s. 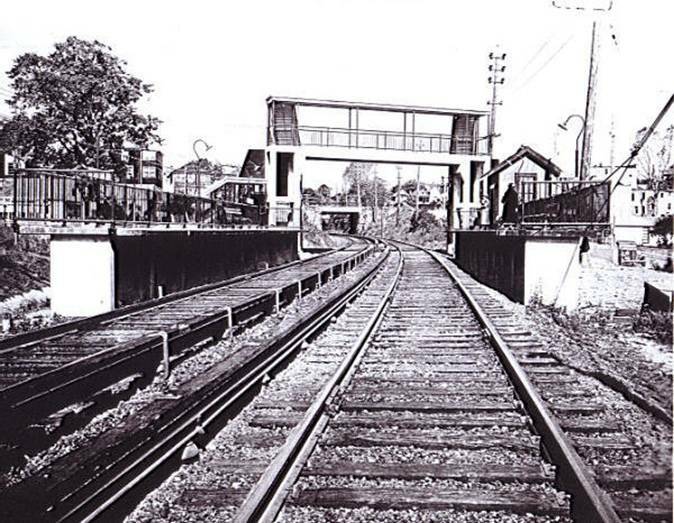 the Wentworth Avenue station was opened. at the bottom right of each photo. South Beach. Many of the local attractions are listed. Happy Land amusement park is no longer there. 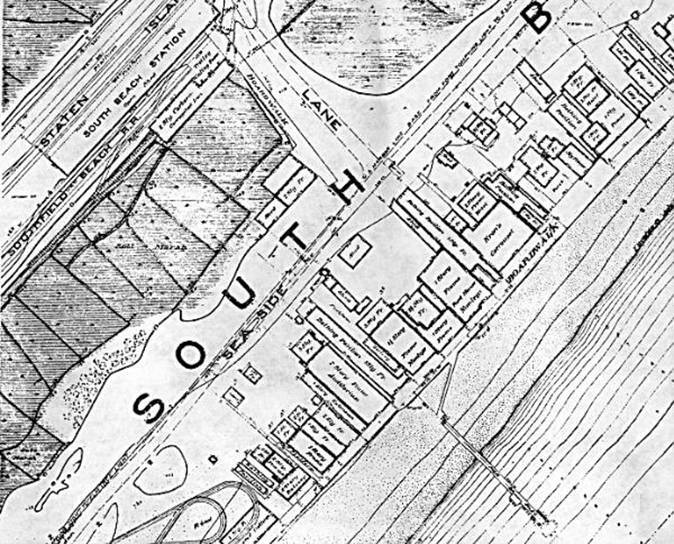 The Southfield Beach Railroad ("trolley right of way") is outlined.